Astronomers have confirmed that there will be a meteor shower on the night of 12 aug 2017, which will be the brightest shower in human history. According to the reports it is believed that “night will appear as day” and that this is a “once in a lifetime opportunity”. Our planet passes through debris strewn around the orbit of comet 109P/Swift-Tuttle. The particles, or meteoroids, encountered tend to be small, typically about the size of a grain of sand. Although on parallel orbits, a perspective effect makes it look like the meteor trails produced emanate from a small region of sky. What is being described here is a meteor shower and the apparent point of origin is known as the shower radiant. The Perseid meteor showers are said to be the strongest and the most popular among them all. The Perseids are active from July 13 till August 26, peaking the night of August 12 into the next morning. The meteors visible during this shower are remnants of comet 109P/Swift-Tuttle during its many trips through our part of the solar system. Experts warn that this show will not be as impressive as 2016. The shooting stars will be streaming through the skies at a more normal, hourly pace of 80-100. 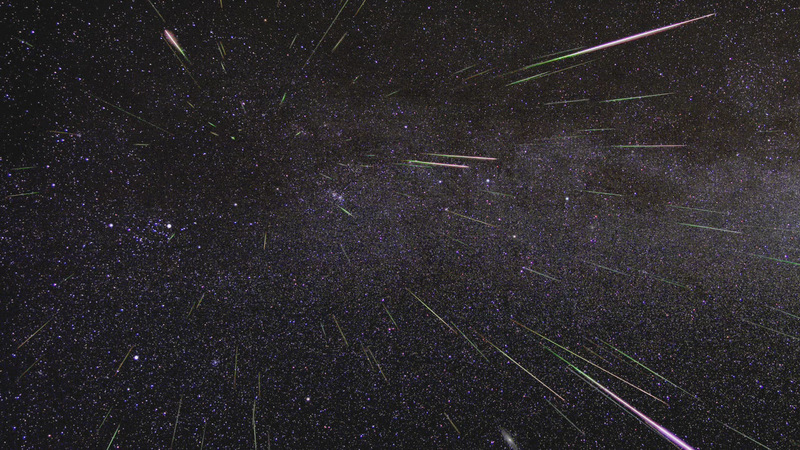 Meteor showers happen when the particles collide with the Earth’s atmosphere at high speeds. They burn and create a flash that we call meteors, or shooting stars.